Federico Cafiero's parents were from Meta di Sorrento. Federico was born in Riposto, a town on the east coast of Sicily, about 30 km north of the town of Catania. He studied mathematics at the Università degli Studi di Napoli Federico II (the University of Naples) where he was taught by Renato Caccioppoli, Ernesto Pascal, Gianfranco Cimmino and others. Caccioppoli was certainly impressed by his young student and referred to Cafiero as his favourite pupil. Cafiero obtained his laurea, with distinction, in 1939 and following this he won the Istituto Nazionale di Alta Matematica scholarship, to the value of 5000 Italian liras, which allowed him to study for a year in Rome at La Sapienza Università di Roma. He spent the year 1939-40 at the newly founded Istituto Nazionale di Alta Matematica in Rome and during this year he attended lectures by Luigi Fantappiè, Giulio Krall, Mauro Picone, Francesco Severi and Leonida Tonelli who, although officially on the staff at Pisa, spent three days in Rome each week covering for Federigo Enriques who had been dismissed under the Fascist Manifesto della razza (Manifesto of Race) enacted in July 1938. After this year of deep study, Cafiero was appointed to teach the 'Elements of Mathematics' course in the Statistical Science Faculty in Rome. This appointment was supposed to be for a period of three years but, soon after taking up the position, his academic career was interrupted by World War II. Italy did not enter World War II following the German invasion of Poland in September 1939 and they kept out of the war for the first few months. However, Italy joined the hostilities of World War II, declaring war on Britain and France on 10 June 1940, only days before France surrendered to the Germans. Cafiero had only been teaching the 'Elements of Mathematics' course for a few months when he was called up to serve in the Italian army in January 1941. After training, in May 1942, now an officer in the San Marco Battalion, he was sent to Bomba in North Africa. The first military actions that the Battalion was involved with after this was the Battle of El Abd in June 1942. It was a convincing victory for the Italian and German troops and the Allies suffered a heavy defeat. The Battalion was then stationed in Tobruk, defending the coastal region. Attacked by the British while in Tobruk in September, the Battalion bravely defended the town. However, towards the end of that year and in January 1943 they retreated toward Tunisia. In April 1943 the Battalion was heavily defeated in the battle of the Oidane-el-Hachana line. Cafiero's unit was caught by surprise by the turn of events with many of the Italian soldiers being captured by the Allies. However Cafiero had his men sail from North Africa to the Italian coast in a rubber dingy reaching Trapani in Sicily. For this act of bravery he was awarded the Silver Medal of Military Valour. Mussolini was deposed in July 1943 following the Allied invasion of Sicily. This was largely due to Pietro Badoglio who became prime minister, and arranged an unconditional surrender to the Allies in September 1943. The Fascist party was dissolved and Italy declared war on Germany in October. However, German armies defended Italy against the Allied advance from the south. In October the Allies entered Naples but their advance was stopped at this point. Cafiero reached Naples but was unable to move further north. He was discharged from the army in February 1944 and, still unable to return to his position in Rome, remained in Naples. During the occupation of Naples by the allied troops, the buildings of the Faculty of Mathematics, Physics and Natural Sciences, located in the Via Mezzocannone, were requisitioned and used by the U.S. Army Military Police. They continued to occupy these buildings until Rome fell to the Allies in June 1944. It was impossible to move around Italy during these years of violent conflict and half of the mathematicians employed at the University of Naples were unable to reach the city. Only two mathematicians, Miranda and Caccioppoli together with the astronomer Vittorio Nobile, were teaching there at this time, with one further mathematician, G Andreoli, suspended by the Allies because of his uncompromising adherence to fascism. Cafiero, in the role of an assistant, was able to help with the reconstruction of the University of Naples. In 1944 he married his long-time sweetheart Jole Giorgini; they had one child, a daughter Anna. Miranda and Caccioppoli, with Cafiero's help, began to rebuild mathematics at the University of Naples. Caccioppoli had no practical or organisational skills but Miranda had a clear vision of how he wanted to develop mathematics based on an Institute of Mathematics with a single well stocked library. The Institute began to operate from 1944, with Miranda as its director and Cafiero, as an assistant, was one of the few members of staff. The situation in Naples was an extremely difficult one. Although many books had survived the war, they were randomly piled up and the old library catalogues had been destroyed. The academics were only supported by two old janitors, so it fell to a young assistant like Cafiero to undertake hard physical work. The teaching load during the post-war years was particularly heavy for the few academics who had to try to put on a full programme with very little in the way of resources. Although Cafiero was only an assistant at first, in 1951 he was appointed as professor in analysis. He had begun published papers during this period, the first of these being Sull'approssimazione mediante poligonali degli integrali del sistema differenziale: y' = F(x, y), y(x0) = y0 Ⓣ (1947), which, under the assumption that F(x, y) is continuous in a rectangle, develops a method of polygonal approximation which produces every solution of the system specified in the title. His next paper was Un'osservazione sulla continuitá rispetto ai valori iniziali degli integrali dell'equazione: y' = f (x, y) (1947), which proves that any group of conditions sufficient to assure the existence and uniqueness, with respect to the initial values, of the integral of the equation y' = f (x, y) is also sufficient to assure the continuous dependence of the solution on the initial values. In each of the years 1948, 1949 and 1950, Cafiero published three papers most of which studied ordinary differential equations. In 1953 Cafiero entered the competition for the chair of analysis at the University of Catania and the panel of assessors ranked him in first place. He took up this appointment in 1953, returning to Sicily and the area of his birth. In the same year of 1953 his first book was published namely Funzioni additive d'insieme ed integrazione negli spazi astratti Ⓣ. In this work he used an approach, and notation, similar to that found in Stanisław Saks's book Theory of the integral (published in Polish in 1933 with an English translation in 1937). He generalised the Vitali convergence theorem and the Fichera convergence theorem. His first major paper giving his convergence theorem was Sul passaggio al limite sotto il segno d'integrale per successioni d'integrali di Stieltjes-Lebesgue negli spazi astratti, con masse variabili con gli integrandi Ⓣ (1953). His 1953 book gave a more leisurely approach to presenting his convergence theorems. Cafiero only spent three years in Catania before moving to Pisa in 1956. Alessandro Faedo had been appointed to succeed Leonida Tonelli at Pisa in 1946 and he began a series of inspired appointments, building Pisa into one of the leading mathematical centres in the world. The appointment of Cafiero, who succeeded Francesco Cecioni, to the University of Pisa also meant that he taught at the Scuola Normale. In 1953, the year Cafiero joined the Institute at Pisa, Faedo became Dean of the Faculty of Science so Cafiero became director of the Mathematical Institute from the time he was appointed. In 1954 Enrico Fermi wrote to the rector of the University of Pisa, Enrico Avanzi, suggesting that the university should build its own electronic computer. Avanzi set up the Centro Studi Calcolatrici Elettroniche headed by Faedo with a team which included mathematicians, physicists and electrical engineers. Cafiero was a member of this team which was given the task of designing and building an electronic computer. The Calcolatrice Elettronica Pisana was completed in 1961 but Cafiero had left Pisa two years before this. Given the exciting mathematical developments that were happening in Pisa, at first it might seem a little strange that Cafiero chose to move after only three years. However, the reason he moved was that in May 1959 Renato Caccioppoli committed suicide and Naples advertised a competition to fill his chair. Naples held a special affection for Cafiero who, although a Sicilian by birth, considered Naples as his adopted home (it was, of course, also the nearest city to his parents' home town). Also, having been Caccioppoli's favourite student, he had a special reason to want to succeed to his chair at Naples. In fact this was the last move that Cafiero made, spending the last twenty years of his life in Naples. This is stated to be based on an earlier monograph Ⓣ (1953). The old title is much more appropriate, except insofar as the terminology is now that of lattice theory. The fact is that the book, in spite of its size, covers only a part of the theory of measure and integration. On the one hand, the abstract setting is still limited to sets of actual points, and to functions in the usual sense, so that the lattice aspects do not go as far as the Carathéodory algebraization of the whole theory. On the other hand, this setting, to which the author restricts himself throughout, excludes all those parts of the subject which depend on a topology, so that there are no Denjoy integrals, no ordinary derivatives, no strong density theorems, and so on. Nor is there any mention of the deeper questions about measure, for instance, those related to the continuum hypothesis, and generally there are only the barest references to historical and philosophical matters, and to the motivation of the concepts. ... it is, within its framework, fairly self-sufficient, and moreover, very copiously illustrated by special cases. His other contributions mainly involve the theory of functions of a real variable and its application to the foundations of the theory of functions of a complex variable. Among the books by Cafiero, which he published during his years in the chair at Naples, are the popular works: Elementi di analisi matematica e geometria analitica Ⓣ (1966); Lezioni di analisi matematica Ⓣ (1964, 1968); Elementi di teoria degli insiemi Ⓣ (1977); and I numeri e le funzioni numeriche elementari Ⓣ (1978). Cafiero was an enthusiastic believer in educational reform particularly in the universities. 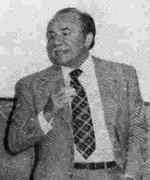 He served as a member of the Consiglio Superiore della Pubblica Istruzione from 1966 to 1978. Together with his colleague Antonio Zitarosa, he founded a series devoted to works in mathematical analysis published by Liguori of Naples. Finally, we note that the obituary  is written by Giorgio Letta who was a student of Cafiero's during the years he worked at Pisa. This obituary describes in detail Cafiero's contributions to the theory of measurable functions, which is considered to be his most important work. The paper  gives the list of Cafiero's publications which contains 41 items. Two notable awards the Cafiero received for his mathematical contributions were the Tenore prize of the Accademia Pontaniana (awarded in 1953 for his monograph Funzioni additive d'insieme e integrazione negli spazi astratti Ⓣ) and the Golden medal 'Benemeriti della Scuola, della Cultura, dell'Arte' which he received from the President of the Italian Republic in 1976.